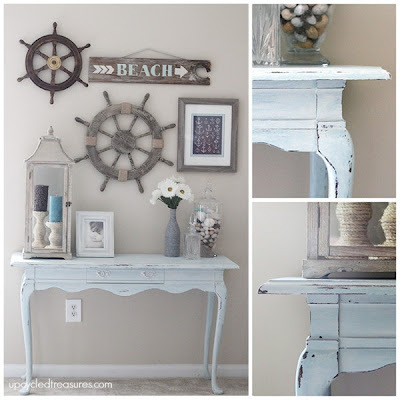 Katie, from Upcycled Treasures shared a gorgeous console table makeover. 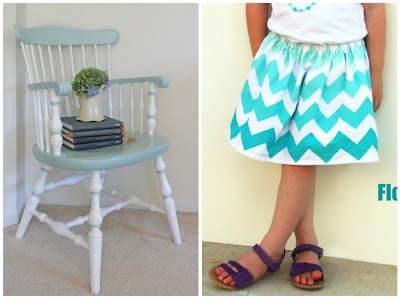 Jessica, from Cutesy Crafts shared this beautiful chair makeover and stunning girls skirt she made. 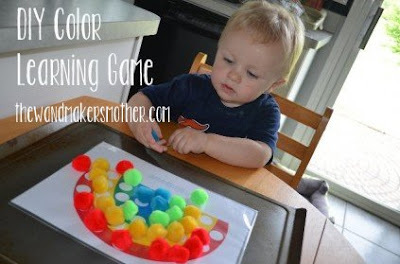 The Wand Makers Mother, shared this fun color learning game. I can't wait to make it for my 2 year old! Abby, from Just a Girl and Her Blog shared how she made art out of a shower curtain! Mama Whimsy shared her awesome New command center. Patti, from Old Things New, shared her adorable bird house. 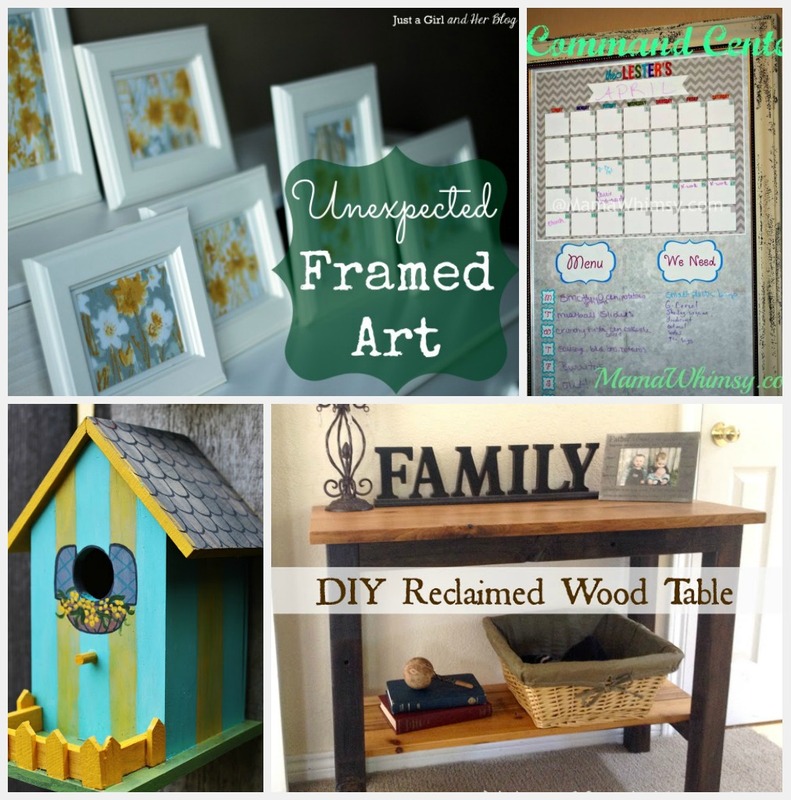 Mindi, from My Love 2 Create, shared how she built this gorgeous console table out of reclaimed wood! 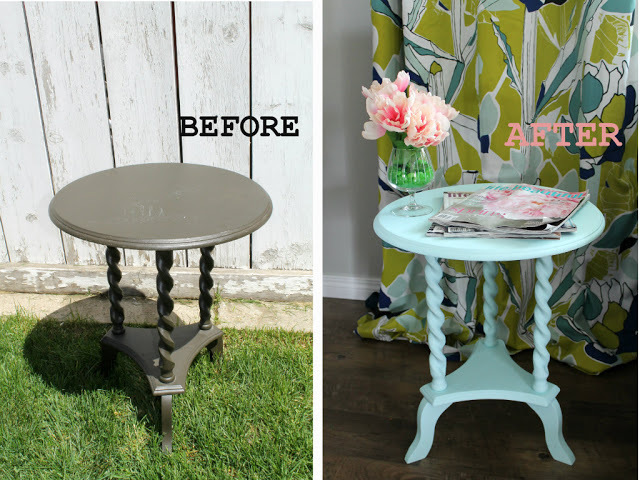 Kat, from Blessed Life atop a Cake Stand, shared her gorgeous side table transformation. 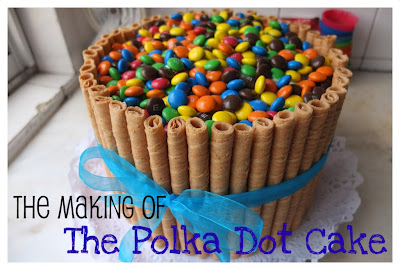 Soffes, from Something on Everything shared her cute Polka Dot cake! Thanks so much for hosting! First time partyin' with you guys and looking forward to coming back! Thank you so much for featuring my unexpected framed art, Rita! You made my day! Thanks for hosting another great party! Hope you're having a wonderful weekend! Thanks for the fab party, Rita!! Thanks so much for hosting again, Rita! On a separate note, I read about your grandmother a couple posts down and I'm so sorry. I lost my dad to Alzheimer's a few years ago and I know what a sad and devastating disease it is. I hope that you and your family find comfort and peace at this difficult time. Wow! Thanks for the double feature! :) As always, a great link party! Thank you so much for featuring my table!!! That was a pleasant surprise! Thank you for hosting! Hugs! Thank you for hosting your party this week, Rita. Enjoy your week! Thanks so much for hosting today's party!! Great to be here, have a fantastic 4th July week :-) Happy Canada Day from Toronto! Oh my!! Thank you so much for featuring me!! And thank you for hosting! Have an amazing week! 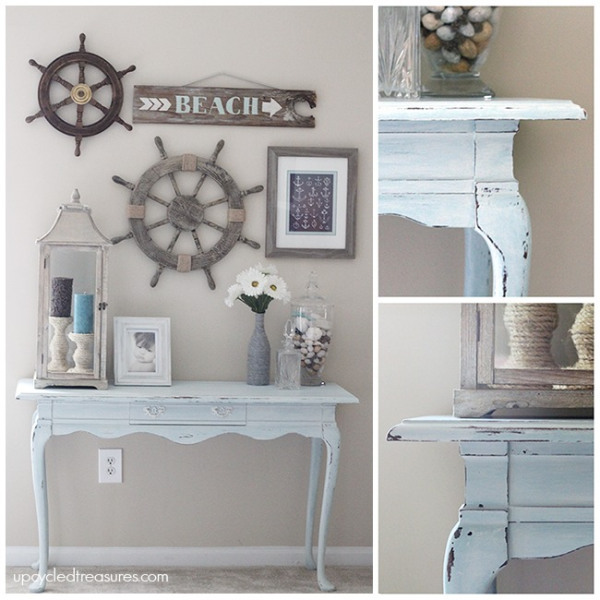 Thank you so much for featuring my beach inspired console table! Beautiful skirt! I am more than a little in awe of your dressmaking skills!